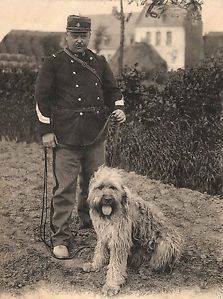 The briard has been the official dog of the French army. They served valiantly in World War I and World War II. 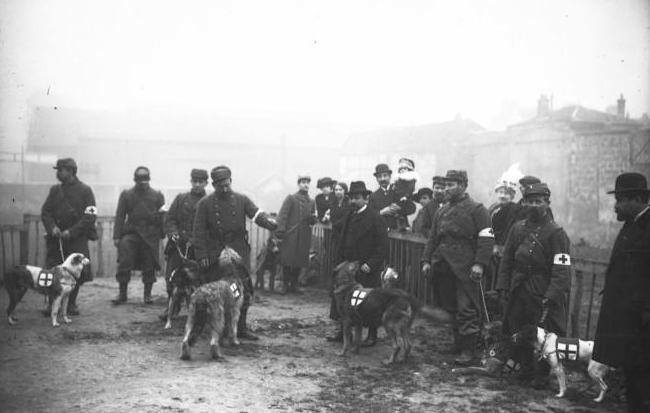 These old photos tell the story of the brave briards in war. 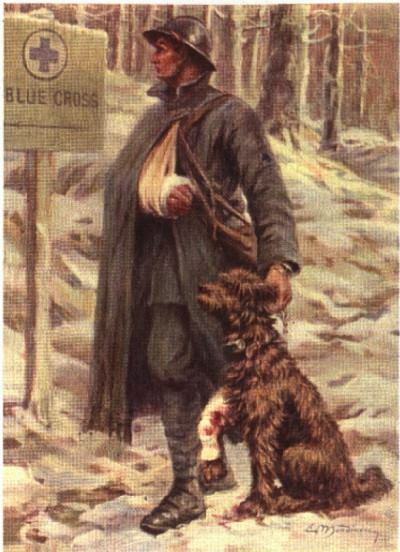 Briards carried supplies to the front lines, and served as sentry dogs due to their keen hearing -- reputed to be the most acute of any breed. 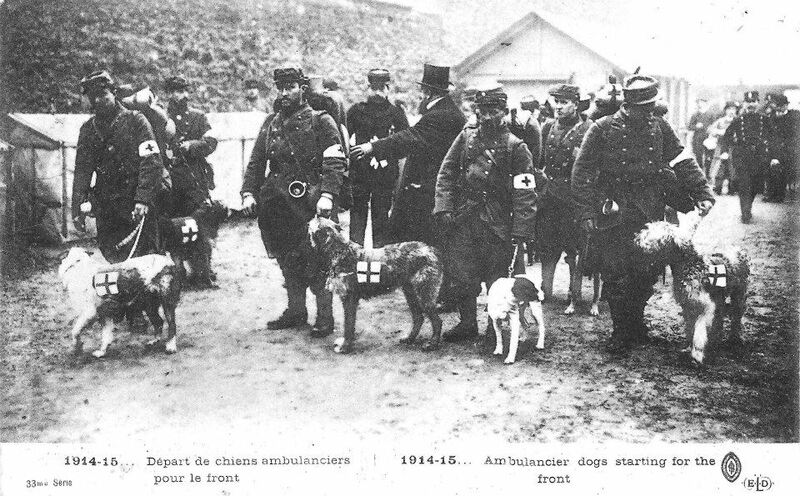 They were also used by the medical corps, to lead the corpsmen to soldiers who were still alive. 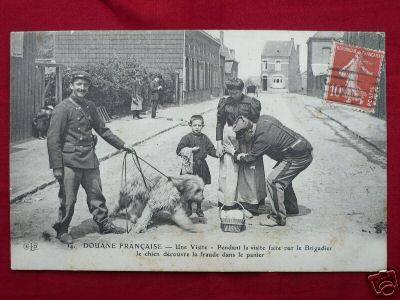 It was said that any man the briard passed by was beyond assistance. Many were killed. 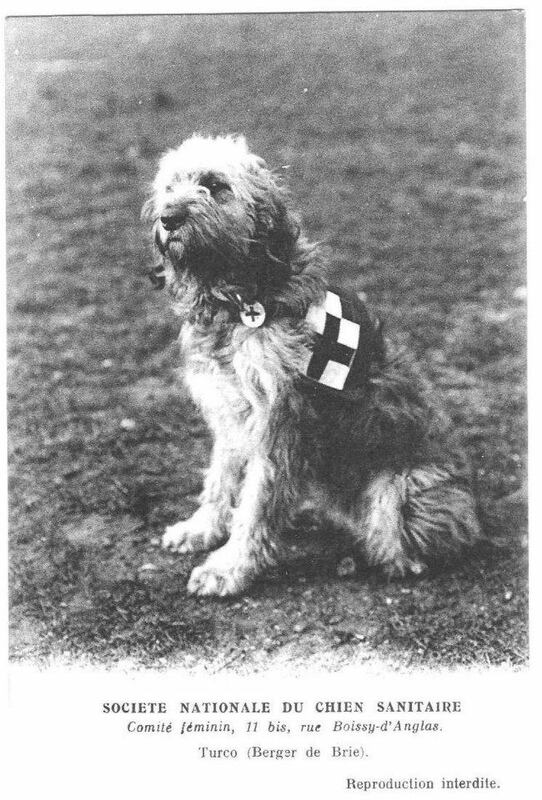 Briards were so good at these tasks that the enemy purposefully aimed at them, killing so many that it nearly wiped out the breed. Briards are heroes, but they were not bred to fight. 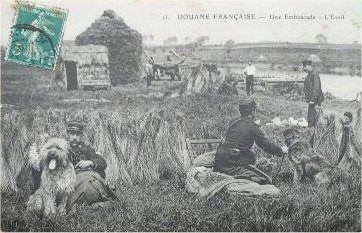 Traditionally, they have been bred to herd sheep, gently; and many still do, in the United States and in Europe. Chou Chou's job is to be a cute, friendly therapy dog -- and my canine companion. historical information from Alice Bixler Clark, Briards, et al.